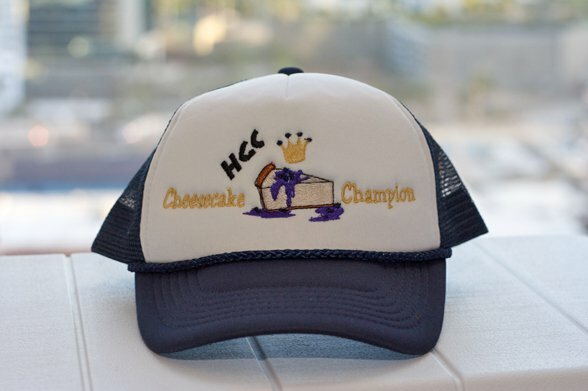 So hey all, I finally have time to post some info on the HGC’s First Annual Cheesecake Competition. It’s been very delayed, but better late than never. First up was this tasty entry of a White Chocolate and Raspberry. 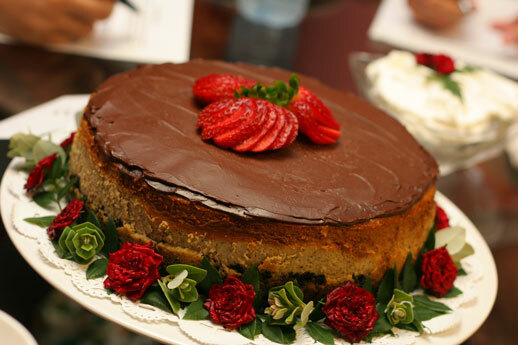 This is a traditional style cheesecake with a rich, full-bodied coffee flavor, accented by a bittersweet chocolate ganache. 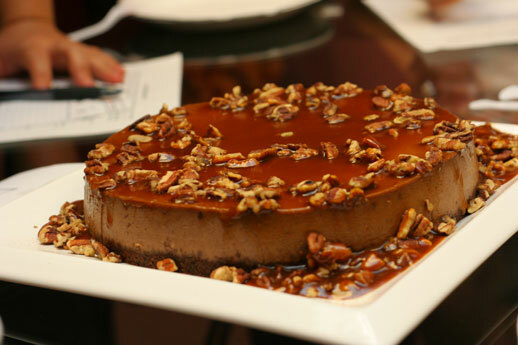 A chocolate mac nut crust adds texture to the smoothness of the cheesecake. The bold chocolate and coffee flavors are balanced by a refreshing vanilla bean whipped cream. This dessert is the perfect finish to any meal. 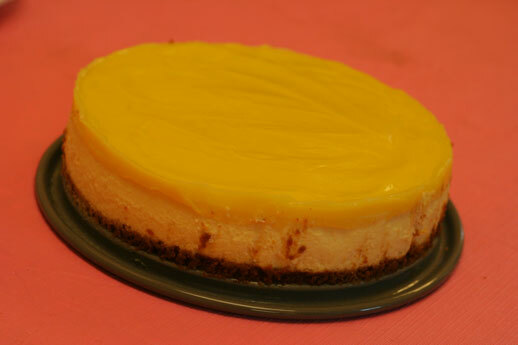 As a sinfully rich cheesecake with cream cheese, vanilla, lemon juice, sugar and eggs. Topped with Ohelo Berry Preserves. A blend of continental cuisine with a touch of local flavor. It sounds delicious reading it, no? The last entry of the competition, but certainly not least was this Lemon Cheesecake with Lemon Curd Topping and Animal Cracker Crust. Isn’t that awesome? I designed it myself . . . well with the help of the people at the cap-making store. 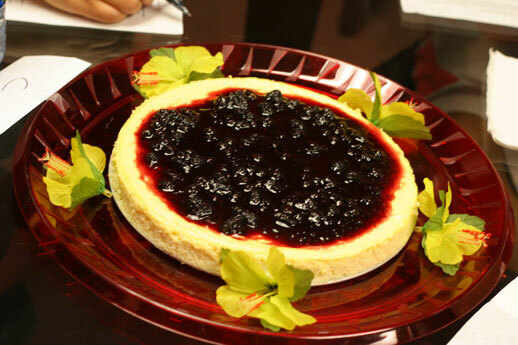 So that was what happened at the HGC’s First Annual Cheesecake Competition. 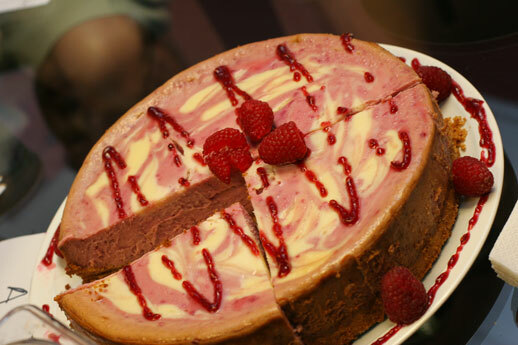 Look forward to it next year and hopefully more competitors and new cheesecake creations! Oh yeah, be sure to check out more of the photos taken by our awesome photographer here.